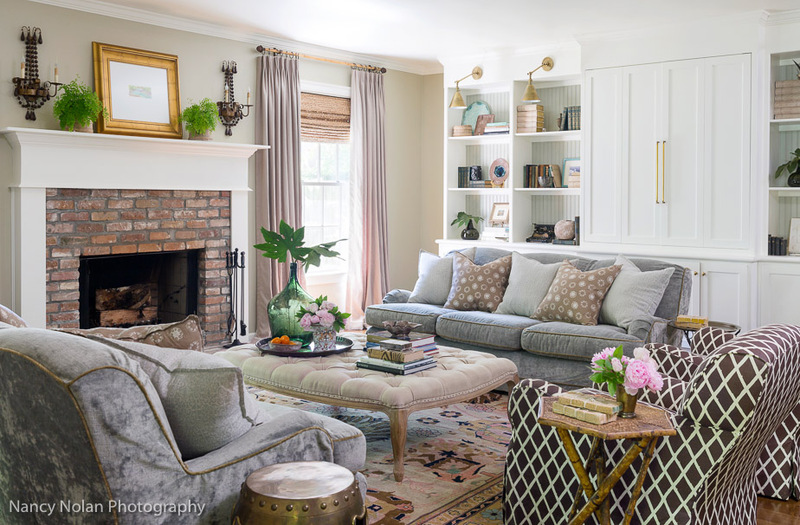 What makes this inviting, Spacious Cottage project shared by Heather Chadduck unique is the fact that it almost didn’t happen at all….in fact, just a few years prior to the redesign, this lovely space was nearly lost in a devastating fire! “The original house burned almost to the ground,” says Heather, lead designer of Heather Chadduck Interiors & Decoration, “and the homeowners were lucky to salvage anything at all.” Fortunately for the family that owns the home, they were able to make it out safely and even spared a few treasured pieces of furniture. The homeowners had previously expanded their home with a renovation that added to the square footage, and saw the rebuilding period after the fire as a chance to start with a clean slate. 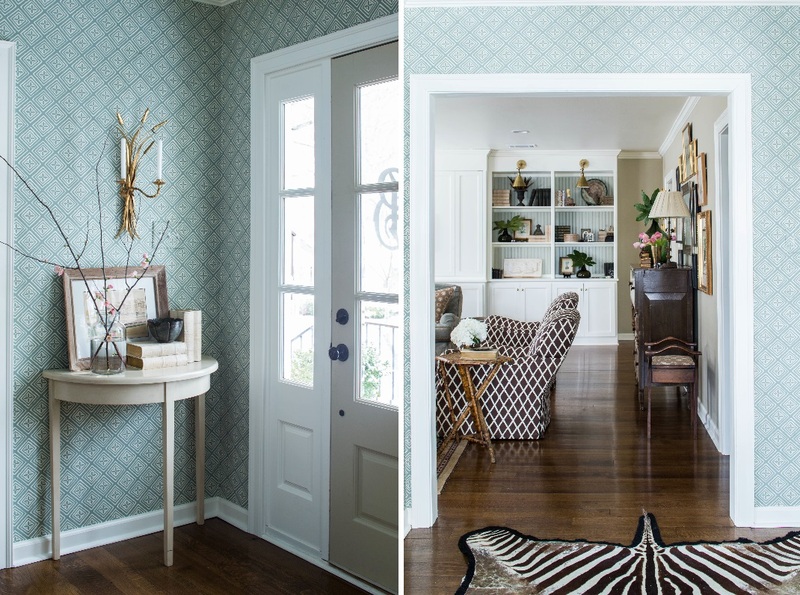 Repositioning doorways, reconfiguring rooms and creating a better overall flow through the home were all on the agenda….as, of course, was adding a dose of Heather’s trademark charm & warmth to the decor. 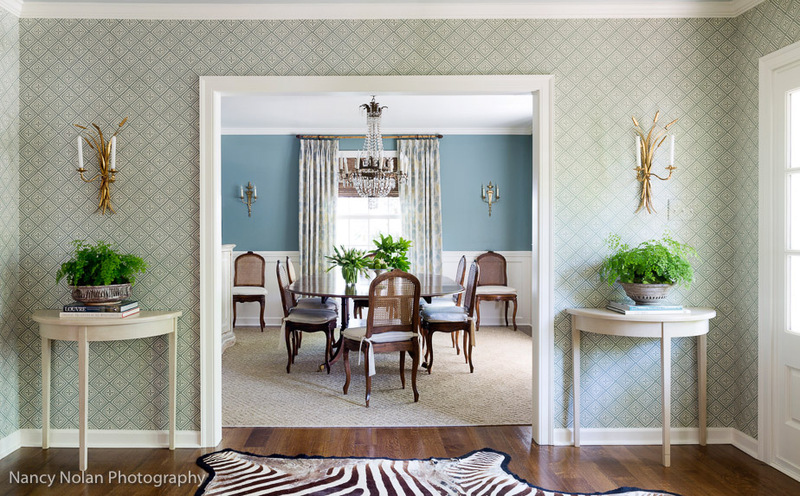 We’re loving the fresh, serene palette that incorporates shades of pale blue punctuated by pops of chocolate brown, and the family-friendly upholstered pieces and mixed patterns keep everything playful. We’re so glad that this charming home was given a second chance at life, and can’t wait to share the details with you. See our REstyle Picks at the end for products from & inspired by this cottage, plus sources if you’re looking to put together a similar look of your own! 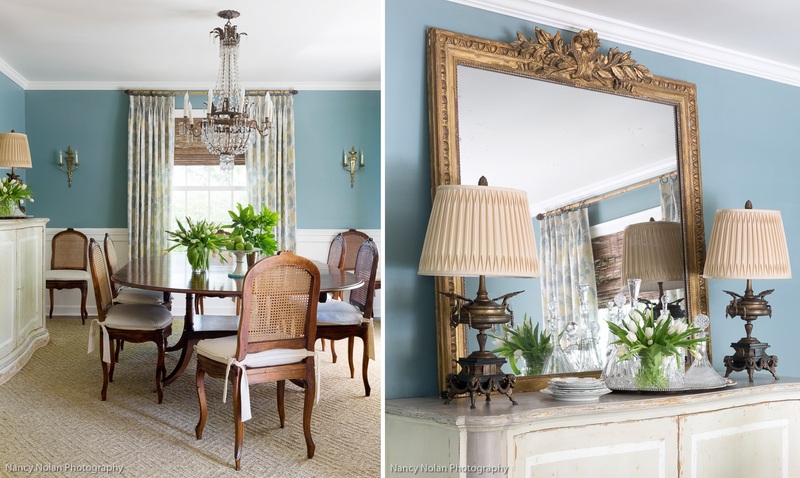 The sideboard, chandelier, mirror, table and chairs in this dining room are all antiques, lending an heirloom feeling to the space, as though generations of the family has dined here before the current owners. 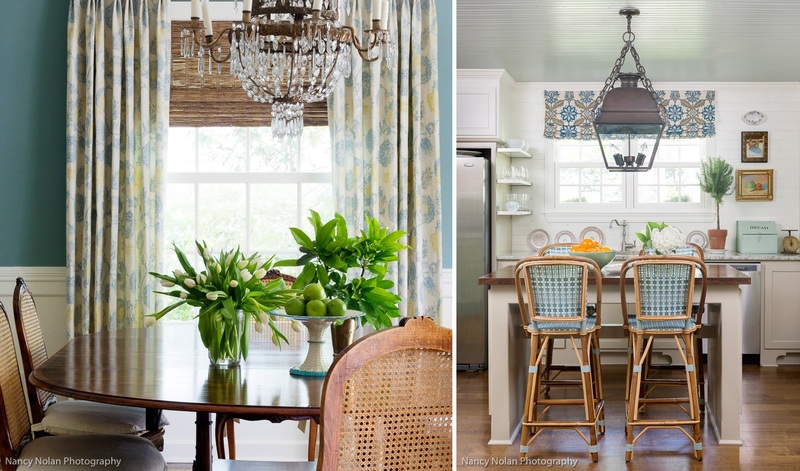 The homeowner searched high and low through online auctions to find just the right chandelier for the dining room before choosing this one. 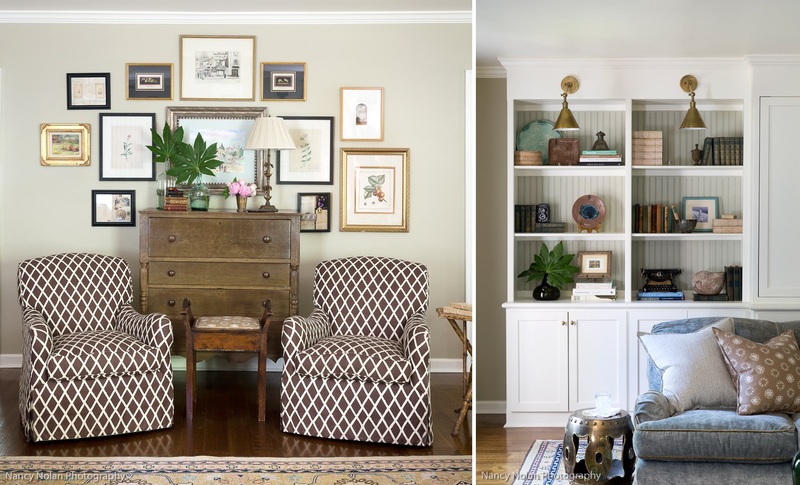 “I love that it’s not quite perfect,” Heather says, referencing its vintage wear-and-tear, “It adds to its character and the cottagey feel.” A pair of fabulous lamps inherited from the homeowner’s grandmother complete the space perfectly. 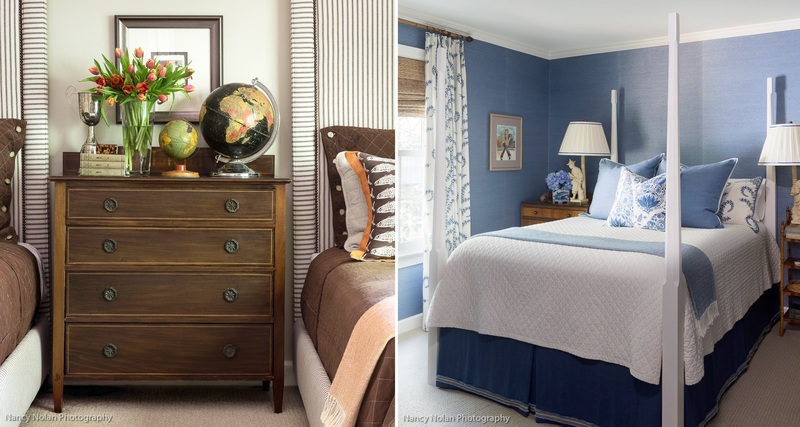 Heather’s other advice for adding old world character to a new construction house? 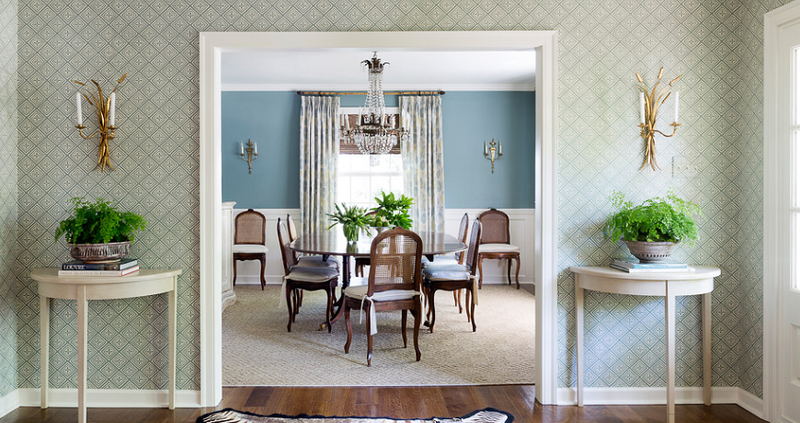 Besides choosing just the right antiques, she suggests focusing in on architectural details. In the Spacious Cottage, she used the addition of custom woodwork–wainscoting in the dining room, a wood-planked hood over the stove, bead-board ceiling, and detailed millwork on the new cabinetry–to add a sense of formality and give the new walls of this home a sense of timeless architecture. Not everything was lost in the fire: “There are a few antiques and family heirlooms that were restored,” says Heather, “and this makes them even more special!” The dresser in the living room belonged to the homeowner’s grandfather, and lives on as a charming accent piece between these two cozy LEE armchairs. 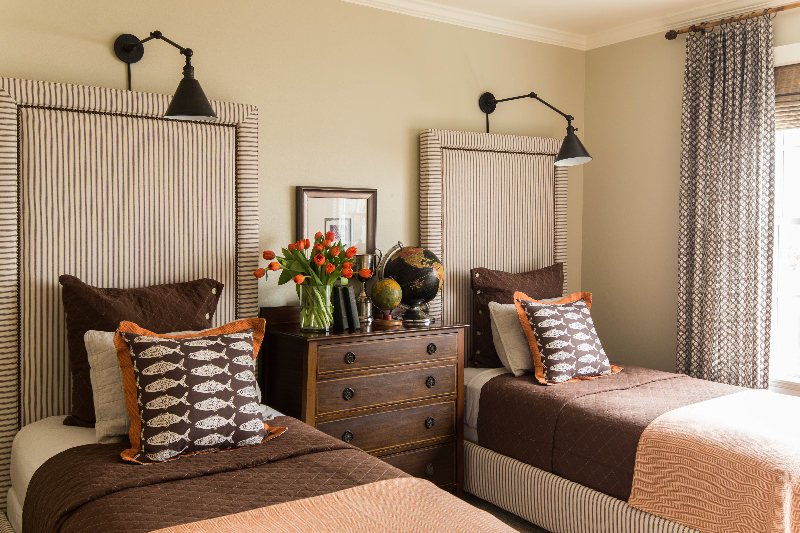 The guest room bed above was also spared from the fire, then painted white to give it a fresh new feeling.